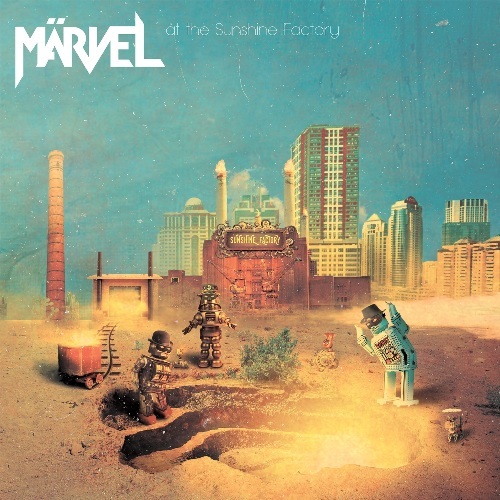 Rachy was very impressed with Märvel’s new album, At the Sunshine Factory, when she reviewed it a few weeks back, saying that it was “fun loving rock n’ roll with a modern, hard rock twist”. When the band approached us to premiere their new video, we of course jumped at the chance! On October 7th 2017 Swedish hard rock sensations Märvel released their new album At The Sunshine Factory. The band have worked hard to create a ”larger than life” sound, building a studio of their own to get enough time to develop their songs to perfection. A cheerful production disguises a darker lyrical theme affected by today’s world situation. Märvel signed a deal with The Sign Records in the beginning of 2017 and have since then started to re-release their earlier albums on new formats. Märvel have never been this well equipped and ready to make a first and lasting impression on a new audience and deliver something fresh and virgin to their old fans. At the Sunshine Factory is a self-produced album recorded by the band at studio Solskensfabriken. Mixed by Stefan Brändström at Dustward Studios and mastered by Magnus Lindberg. Märvel have been an active band since 2002.